Check out all the different ways you can win! Toronto Raptors Playoff Edition. Limited time only. While every effort is made to ensure the accuracy of the information contained herein, no warranty of accuracy or completeness is expressed or implied. OLG reserves the right, in its sole and absolute discretion, to change or cancel this promotion, as it deems appropriate. For up-to-date information regarding promotions, please contact the OLG Support Centre at 1-800-387-0098. What would be your idea of a GIANT Night Out? 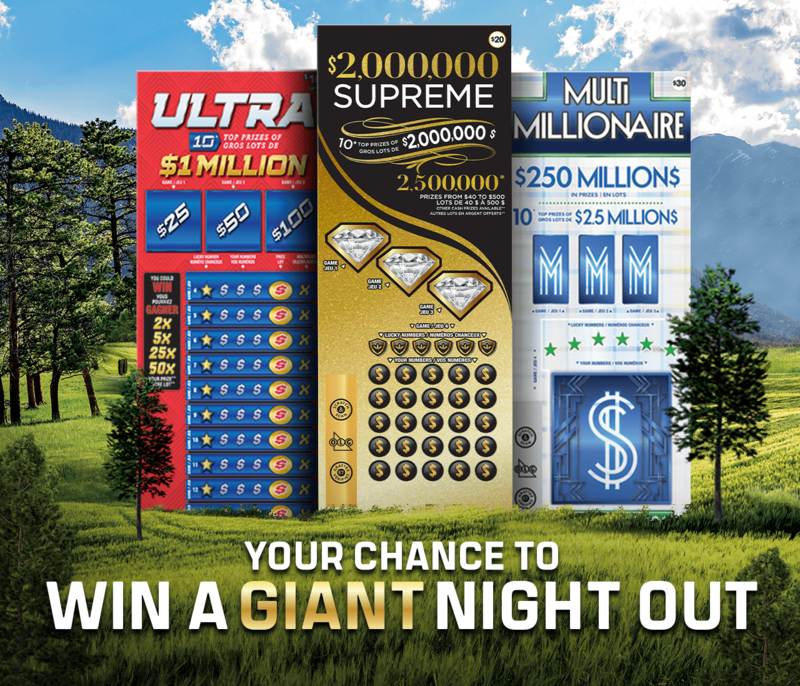 Tell us on Twitter with #SoBigItsGiant for a chance to win* a prize valued at $20,000. *Promotion for a limited time only and subject to change. Contest closes at 11:59PM EST on May 23, 2019. Limit of one (1) entry per person. Participants must be residents of Ontario eighteen (18) years of age or older, have a valid Twitter account that is open and public, and follow OLG’s Twitter [@OntarioLottery]. Participants must not be self-excluded, or trespassed, all as determined by OLG in its sole discretion. Valid government-issued photo identification may be required. No purchase necessary. Chances of winning depend upon the number of eligible entries received. See Rules & Regulations for details.